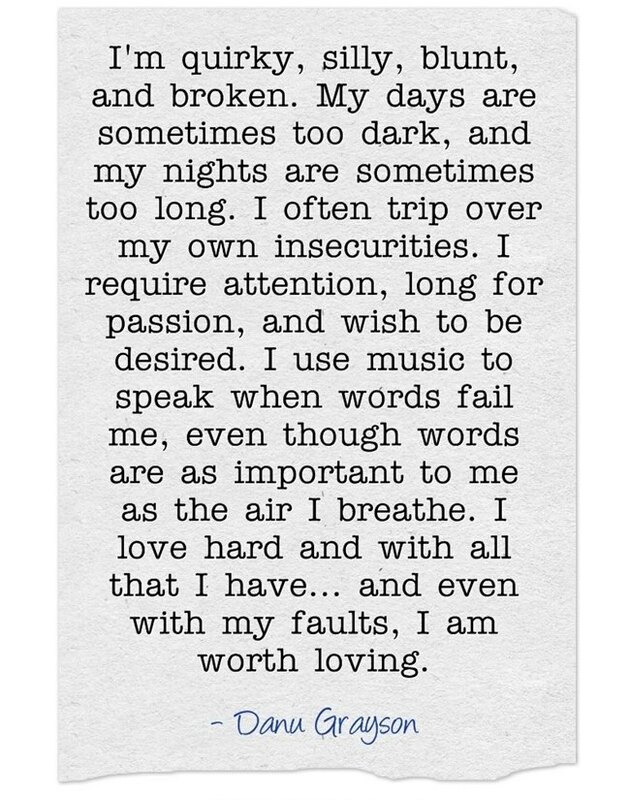 Quirky, silly, blunt, broken, with insecurities and so much more, but I am worth loving. Can you relate? Let us know how with a comment. 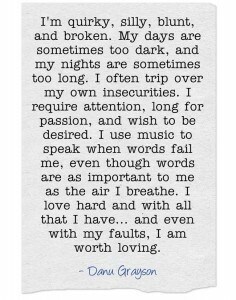 I have PTSD, it has made me, different. So True,It’s hard some times, and it hurts as well. But there is light at the end when you get there. Danu Grayson , simply inspirational!